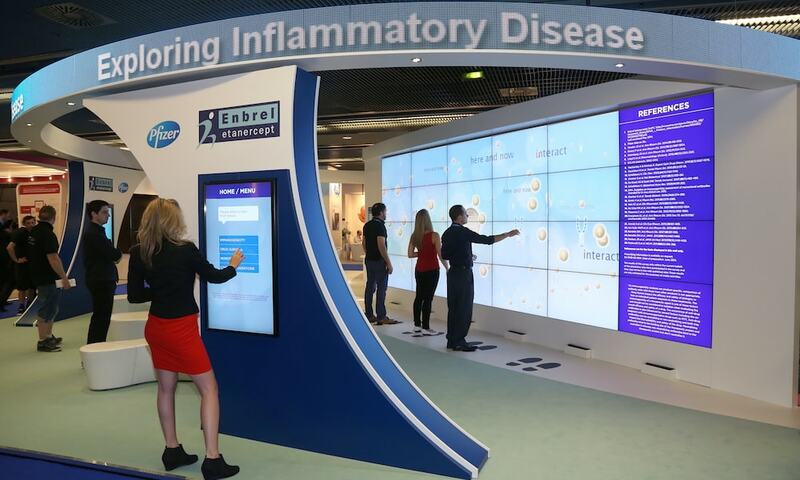 9 Yards produced an interactive, gesture controlled video wall for Pfizer's stand at the EULAR 2014 congress in Paris. 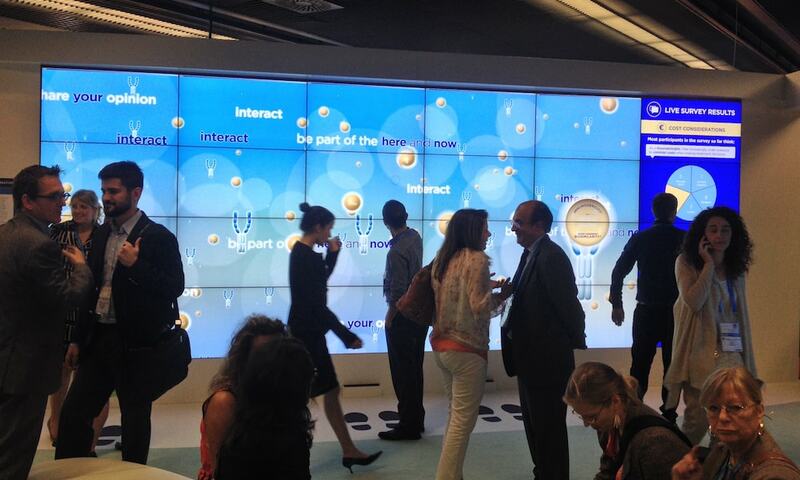 The stand also featured a number of touch screen booths from which data was gathered and displayed on the main wall. 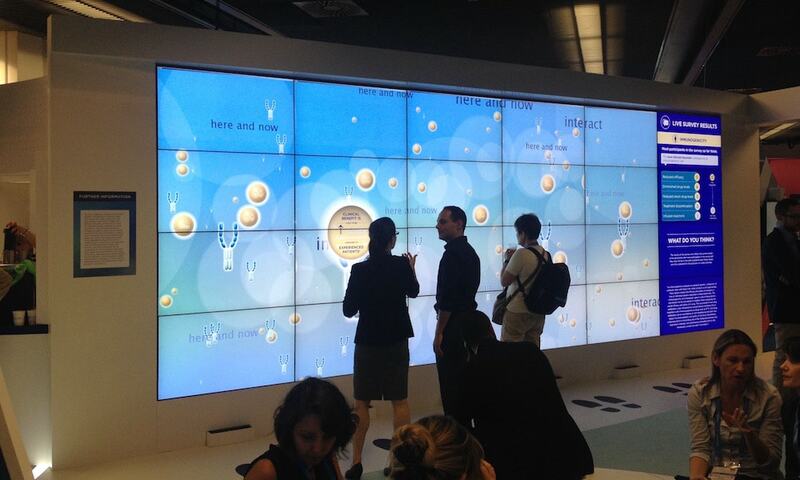 Working with Processing, I developed a gesture based interface which allowed visitors to guide molecules around a large video wall, with the objective of joining them to other molecules. Uniting molecules would cause them to bind and expand to reveal a small pieces of information in the form of infographics. Interaction with the moelcules on the wall was made possible using a series of Microsoft Kinects. I developed a user interface whereby hand movements in front of the video wall could be translated into coordinates which were then used to update the position of an attractor which draws molecules towards the hand. Due to the size of the video wall and the maximum possible resolution available from a single PC, each column of screens within the wall operated on a seperate PC, each of which were networked via a server so that content was free to roam across the full width of the wall. A detailed write up of this project can be found in this blog post: josephwilkins.wordpress.com/2014/06/21/464, in which I also go into further detail about some of the challenges involved.